SUWANEE, Ga., Dec. 14, 2017 /PRNewswire/ -- ARRIS International plc (NASDAQ: ARRS) today introduced two new, next-generation broadband gateway devices – the NVG578 and NVG558. Both are future-ready, offering a flexible platform for network migration. 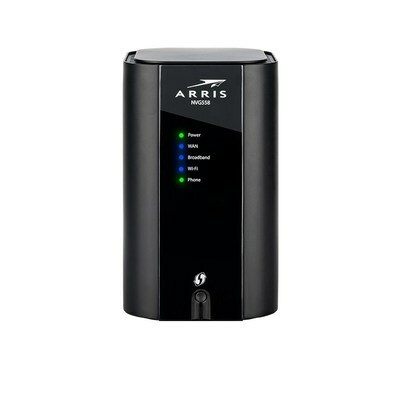 The platforms are also powered by ARRIS's feature-rich, industry-proven, secure and reliable firmware. The NVG578 is a customizable Passive Optical Network (PON) Gateway platform. It offers service providers a range of options to capitalize on investments in ultra-high-speed broadband applications. And, the ARRIS NVG578 platform delivers the scalability service providers need as they evolve their networks to meet the demands of new services and faster speeds. This includes today's GPON speeds, as well as next-generation XGS-PON and NG-PON2 speeds of up to 10Gb/s symmetrical. On the wireless side, this gateway delivers whole-home Gigabit Wi-Fi®, with options to offer 802.11ac and upgrade to 802.11ax in both dual-band and tri-band configurations. The NVG578 also makes smart-home integration easy, thanks to optional IoT radio support. Service providers get the connectivity, reliability and longevity that is now expected from a hub supporting the rapidly growing number of smart-home devices. This is important, as IDC predicts the smart-home segment will experience a compound annual growth rate of 19.8 percent by 2021. The NVG558 is an advanced Fixed Wireless Broadband Gateway that supports triple-play services, thanks to integrated technology that can deliver 4G LTE and 3.5GHz CBRS. It also has potential to support future 5G services. The NVG558 and NVG578 both offer Docker® container support. For service providers, it means they can speed time-to-market, which is crucial as they roll out new features and services. These devices include full support for ARRIS HomeAssure™, ARRIS's intelligent Wi-Fi solution that extends coverage and simplifies the end-user Wi-Fi experience. Both platforms build on ARRIS's global leadership in PON technology. "Service providers are evolving their networks to deliver today's high-bandwidth experiences while preparing for tomorrow's multi-gigabit services. We designed the ARRIS NVG578 and NVG558 broadband platforms to simplify that process. They offer unprecedented flexibility to support smart-home devices; video experiences like UHD streaming, gaming, VR, and AR; and a full range of next-generation services," said Larry Robinson, President, Customer Premises Equipment, ARRIS. 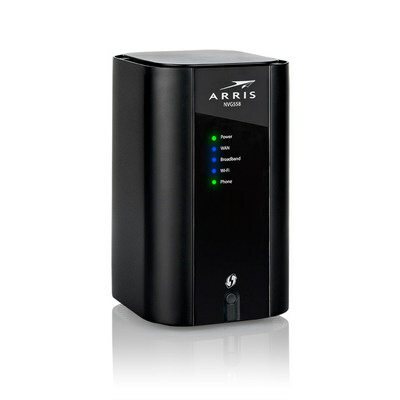 "Service providers can trust ARRIS's leadership in PON, our scalable broadband platforms, and our industry-proven firmware to build a foundation for the future that delivers secure and reliable services today." The ARRIS NVG578 and NVG558 will become available for customer trials in Q1 2018 and generally available in 1H 2018. ARRIS and the ARRIS Logo are trademarks or registered trademarks of ARRIS Enterprises, LLC. All other trademarks are the property of their respective owners. © 2017 ARRIS Enterprises, LLC. All rights reserved.